When you choose to buy one of our certified used cars for sale, you’ll have peace of mind knowing that you are getting a high-quality vehicle in excellent condition. This is due to our strict qualifications and the thorough inspection that our CPO cars go through. Check out our current inventory of certified pre-owned vehicles online before coming into our dealership near Monticello! Certified. Maintenance Package for up to 1 Year, Perfect Autocheck***, **Bluetooth**, **V8 Power! **, *4x4*, Auto High Beam Headlamp Control, Convenience Group, Keyless Enter-N-Go, Leather Trim 40/20/40 Bench Seat, Power Chrome Trailer Tow Mirrors, Rain Sensitive Windshield Wipers, Remote Proximity Keyless Entry, Trailer Brake Control, Trailer Tow Mirrors, Trailer Tow Mirrors & Brake Group. Priced below KBB Fair Purchase Price! 2018 Ram 1500 4D Crew Cab Laramie 4WD HEMI 5.7L V8 Multi Displacement VVT 8-Speed Automatic Maximum Steel Metallic Clearcoat Certification Program Details: Chrysler Group Certified Pre-Owned Details: * Roadside Assistance * Powertrain Limited Warranty: 84 Month/100,000 Mile (whichever comes first) from original in-service date * Limited Warranty: 12 Month/12,000 Mile (whichever comes first) after new car warranty expires or from certified purchase date * Warranty Deductible: $100 * 125 Point Inspection * Vehicle History * Transferable Warranty * Includes First Day Rental, Car Rental Allowance, and Trip Interruption Benefits Cornerstone Commitment offers new and used vehicle benefits and the YOU+ Service Plan. We are passionate about what we do and are committed to your Peace of Mind. Certified. Maintenance Package for up to 1 Year, Perfect Autocheck***, *4x4*, 4WD, 4-Way Power Lumbar Adjust, Auto-Dimming Rear-View Mirror, Popular Equipment Group, Power 8-Way Driver/Manual 6-Way Passenger Seats, Quick Order Package 27E, Remote Start System. Priced below KBB Fair Purchase Price! 22/30 City/Highway MPG 2018 Jeep Compass 4D Sport Utility Trailhawk 4WD 2.4L I4 9-Speed Automatic Granite Crystal Metallic Clearcoat Certification Program Details: Chrysler Group Certified Pre-Owned Details: * Roadside Assistance * Powertrain Limited Warranty: 84 Month/100,000 Mile (whichever comes first) from original in-service date * Limited Warranty: 12 Month/12,000 Mile (whichever comes first) after new car warranty expires or from certified purchase date * Warranty Deductible: $100 * 125 Point Inspection * Vehicle History * Transferable Warranty * Includes First Day Rental, Car Rental Allowance, and Trip Interruption Benefits Cornerstone Commitment offers new and used vehicle benefits and the YOU+ Service Plan. We are passionate about what we do and are committed to your Peace of Mind. Certified. Maintenance Package for up to 1 Year, Perfect Autocheck***, **V6 - Unbelievable Pick-Up! **, *FWD*, *Manager Special - PRICE NOT A MISPRINT - THIS MONTH ONLY!! ***, 6 Speakers, Air Conditioning, Air Conditioning w/3-Zone Temperature Control, AM/FM radio, Quick Order Package 27F, Radio data system, Radio: Uconnect 4 w/7" Display, Rear window defroster. Priced below KBB Fair Purchase Price! 18/28 City/Highway MPG 2018 Chrysler Pacifica 4D Passenger Van L FWD 3.6L V6 24V VVT 9-Speed Automatic Dark Cordovan Pearlcoat Certification Program Details: Chrysler Group Certified Pre-Owned Details: * Roadside Assistance * Powertrain Limited Warranty: 84 Month/100,000 Mile (whichever comes first) from original in-service date * Limited Warranty: 12 Month/12,000 Mile (whichever comes first) after new car warranty expires or from certified purchase date * Warranty Deductible: $100 * 125 Point Inspection * Vehicle History * Transferable Warranty * Includes First Day Rental, Car Rental Allowance, and Trip Interruption Benefits Cornerstone Commitment offers new and used vehicle benefits and the YOU+ Service Plan. We are passionate about what we do and are committed to your Peace of Mind. Certified. Maintenance Package for up to 1 Year, Perfect Autocheck***, **Bluetooth**, **I4 - Better MPG! **, *FWD*, *Manager Special - PRICE NOT A MISPRINT - THIS MONTH ONLY!! ***, 6 Speakers, Advanced Safety & Lighting Group, Air Conditioning, AM/FM radio: SiriusXM, Auto High Beam Headlamp Control, Auto-Dimming Rear-View Mirror, Automatic temperature control, Bi-Xenon HID Headlamps w/LED Signature, Blind Spot & Cross Path Detection, Front dual zone A/C, Full Speed FWD Collision Warn Plus, Lane Departure Warning Plus, LED Taillamps, Navigation Group, ParkSense Rear Park Assist System, Quick Order Package 28G, Radio: Uconnect 4C Nav w/8.4" Display, Rain Sensitive/Intermittent Wipers, Rear window defroster, Safe & Security Group. Priced below KBB Fair Purchase Price! 22/31 City/Highway MPG 2018 Jeep Compass 4D Sport Utility Limited FWD 2.4L I4 6-Speed Aisin Automatic Granite Crystal Metallic Clearcoat Certification Program Details: Chrysler Group Certified Pre-Owned Details: * Roadside Assistance * Powertrain Limited Warranty: 84 Month/100,000 Mile (whichever comes first) from original in-service date * Limited Warranty: 12 Month/12,000 Mile (whichever comes first) after new car warranty expires or from certified purchase date * Warranty Deductible: $100 * 125 Point Inspection * Vehicle History * Transferable Warranty * Includes First Day Rental, Car Rental Allowance, and Trip Interruption Benefits Cornerstone Commitment offers new and used vehicle benefits and the YOU+ Service Plan. We are passionate about what we do and are committed to your Peace of Mind. Certified. Maintenance Package for up to 1 Year, Perfect Autocheck***, *4x4*, *Turbo Diesel Power***, Drop-In Bedliner, Front Armrest w/Cupholders, Quick Order Package 2FG SLT. Priced below KBB Fair Purchase Price! Odometer is 9618 miles below market average! 2018 Ram 2500 4D Crew Cab SLT 4WD Cummins 6.7L I6 Turbodiesel 6-Speed Automatic Bright White Clearcoat Certification Program Details: Chrysler Group Certified Pre-Owned Details: * Roadside Assistance * Powertrain Limited Warranty: 84 Month/100,000 Mile (whichever comes first) from original in-service date * Limited Warranty: 12 Month/12,000 Mile (whichever comes first) after new car warranty expires or from certified purchase date * Warranty Deductible: $100 * 125 Point Inspection * Vehicle History * Transferable Warranty * Includes First Day Rental, Car Rental Allowance, and Trip Interruption Benefits Cornerstone Commitment offers new and used vehicle benefits and the YOU+ Service Plan. We are passionate about what we do and are committed to your Peace of Mind. Certified. Maintenance Package for up to 1 Year, Perfect Autocheck***, **I4 - Better MPG! **, *4x4*, *Manager Special - PRICE NOT A MISPRINT - THIS MONTH ONLY!! ***, Cold Weather Group II, Heated Front Seats, Heated Steering Wheel, Quick Order Package 2EE, Windshield Wiper De-Icer. 21/29 City/Highway MPG 2018 Jeep Renegade 4D Sport Utility Trailhawk 4WD 2.4L I4 9-Speed 948TE Automatic Solar Yellow Certification Program Details: Chrysler Group Certified Pre-Owned Details: * Roadside Assistance * Powertrain Limited Warranty: 84 Month/100,000 Mile (whichever comes first) from original in-service date * Limited Warranty: 12 Month/12,000 Mile (whichever comes first) after new car warranty expires or from certified purchase date * Warranty Deductible: $100 * 125 Point Inspection * Vehicle History * Transferable Warranty * Includes First Day Rental, Car Rental Allowance, and Trip Interruption Benefits Cornerstone Commitment offers new and used vehicle benefits and the YOU+ Service Plan. We are passionate about what we do and are committed to your Peace of Mind. Certified. Maintenance Package for up to 1 Year, Perfect Autocheck***, **V6 - Unbelievable Pick-Up! **, *AWD*, *Manager Special - PRICE NOT A MISPRINT - THIS MONTH ONLY!! ***, 1-YR SiriusXM Guardian Trial, 300S Premium Group, 5-Year SiriusXM Traffic Service, 5-Year SiriusXM Travel Link Service, 8.4" Touchscreen Display, Apple CarPlay, Auto-Dimming Exterior Driver Mirror, Blind Spot & Cross Path Detection, Dual-Pane Panoramic Sunroof, Exterior Mirrors Courtesy Lamps, Exterior Mirrors w/Supplemental Signals, For Details Visit DriveUconnect.com, Google Android Auto, GPS Antenna Input, GPS Navigation, HD Radio, Integrated Voice Command w/Bluetooth, Media Hub (2 USB, AUX), ParkSense Front/Rear Park Assist System, Power Multi Function Mirror Manual Fold, Radio: Uconnect 4C Nav w/8.4" Display, SiriusXM Satellite Radio, SiriusXM Traffic Plus, SiriusXM Travel Link, USB Host Flip. Priced below KBB Fair Purchase Price! Odometer is 1978 miles below market average! 18/27 City/Highway MPG 2018 Chrysler 300 4D Sedan S AWD 3.6L V6 24V VVT 8-Speed Automatic Billet Silver Metallic Clearcoat Certification Program Details: Chrysler Group Certified Pre-Owned Details: * Roadside Assistance * Powertrain Limited Warranty: 84 Month/100,000 Mile (whichever comes first) from original in-service date * Limited Warranty: 12 Month/12,000 Mile (whichever comes first) after new car warranty expires or from certified purchase date * Warranty Deductible: $100 * 125 Point Inspection * Vehicle History * Transferable Warranty * Includes First Day Rental, Car Rental Allowance, and Trip Interruption Benefits Cornerstone Commitment offers new and used vehicle benefits and the YOU+ Service Plan. We are passionate about what we do and are committed to your Peace of Mind. Certified. Maintenance Package for up to 1 Year, Perfect Autocheck***, **Tow Package**, **V8 Power! **, *4x4*, *NO ACCIDENTS! *, 1-Year SiriusXM Radio Service, 40/20/40 Split Bench Seat, Add Class IV Receiver Hitch, Body Color Front Fascia, Body Color Grille, Body Color Rear Bumper w/Step Pads, Brake assist, Carpet Floor Covering, Cloth 40/20/40 Bench Seat, Delay-off headlights, Delete Spray In Bedliner, Dual Rear Exhaust w/Bright Tips, Electronic Stability Control, Fog Lamps, For More Info, Call 800-643-2112, Front & Rear Floor Mats, Front Armrest w/3 Cupholders, Fully automatic headlights, No Satellite Coverage w/AK/HI/PR/VI, ParkView Rear Back-Up Camera, Popular Equipment Group, Quick Order Package 27J Express, Ram 1500 Express, Rear Folding Seat, Remote Keyless Entry w/All-Secure, SiriusXM Satellite Radio, Wheels: 20" x 9" Aluminum Chrome Clad. Priced below KBB Fair Purchase Price! 2017 Ram 1500 4D Extended Cab Express 4WD HEMI 5.7L V8 Multi Displacement VVT 8-Speed Automatic Midnight Blue Pearlcoat Certification Program Details: Chrysler Group Certified Pre-Owned Details: * Roadside Assistance * Powertrain Limited Warranty: 84 Month/100,000 Mile (whichever comes first) from original in-service date * Limited Warranty: 12 Month/12,000 Mile (whichever comes first) after new car warranty expires or from certified purchase date * Warranty Deductible: $100 * 125 Point Inspection * Vehicle History * Transferable Warranty * Includes First Day Rental, Car Rental Allowance, and Trip Interruption Benefits Cornerstone Commitment offers new and used vehicle benefits and the YOU+ Service Plan. We are passionate about what we do and are committed to your Peace of Mind. 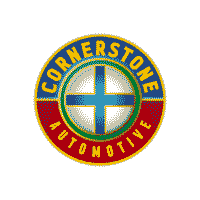 Why Buy a CPO Car at Cornerstone Auto? Contact us to set up a test drive, then visit our dealership near Anoka and Ramsey to see our inventory of CPO models in person! See a vehicle you like? Our financial experts can help you with the next steps!